‘Nail Houses’ and property rights… Can you or should you refuse to sell? 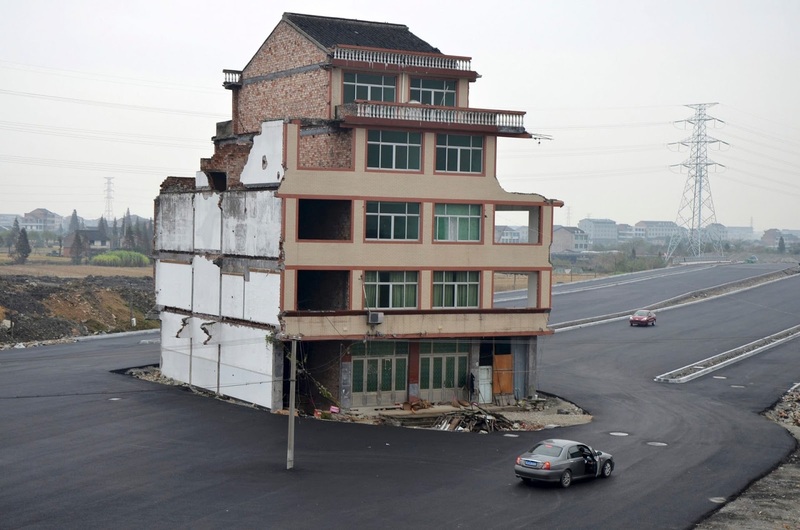 China's infrastructure is being built at a rapid rate. Large real estate developments are being constructed and enormous dam, road and rail projects are all necessary to meet the needs of their growing population/economy. But what happens when a dam needs to be built right where a village of 170,000 people are living? 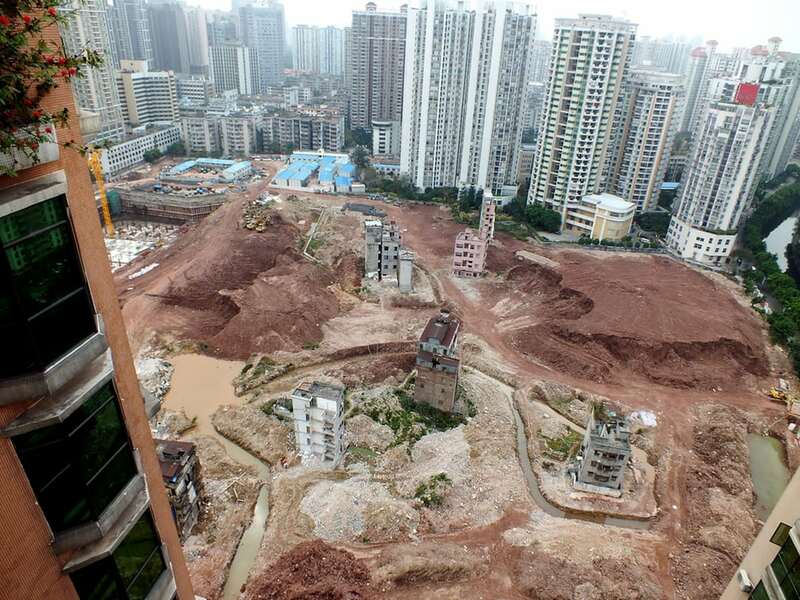 Due to China’s socialist era, there are some issues with the ownership of land. 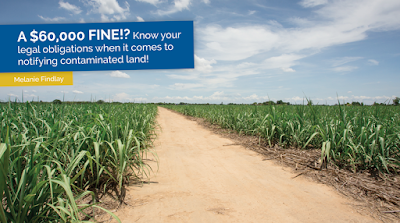 Requisitions or Resumptions of land laws can differ depending on whether it is urban or farming land. 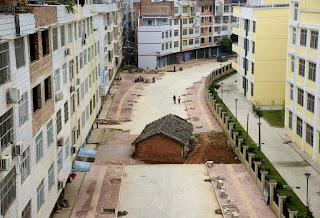 In China land can be Requisitioned if it is in the “interest of the public”. But what does this mean? A dam might be for the public, but what about a large real estate development for a private developer that will provide lots of jobs. If the development or infrastructure is not for a public purpose, can a farmer or landowner stand their ground and refuse to move? 'Nail houses' is the term given to those landowners who refuse to move. The consequences of this decision can be quite striking. We can give an example of this situation in Central Queensland. 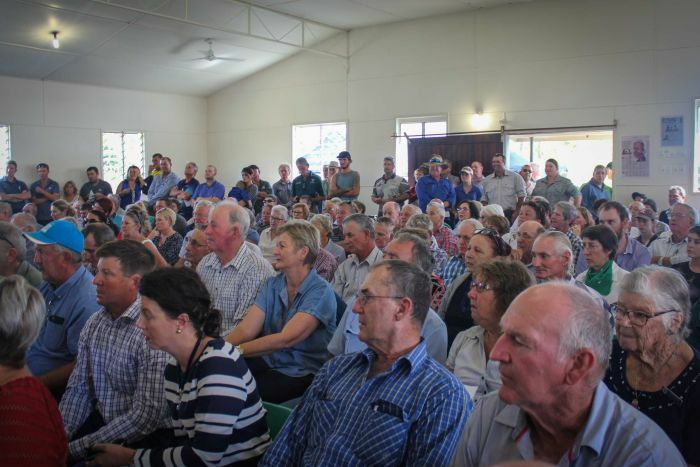 The ADF announced that they wished to acquire multiple grazing properties in Marlborough and near Charters Towers late last year. The purpose for the resumption is to accommodate increased training activities with the Singaporean armed forces. 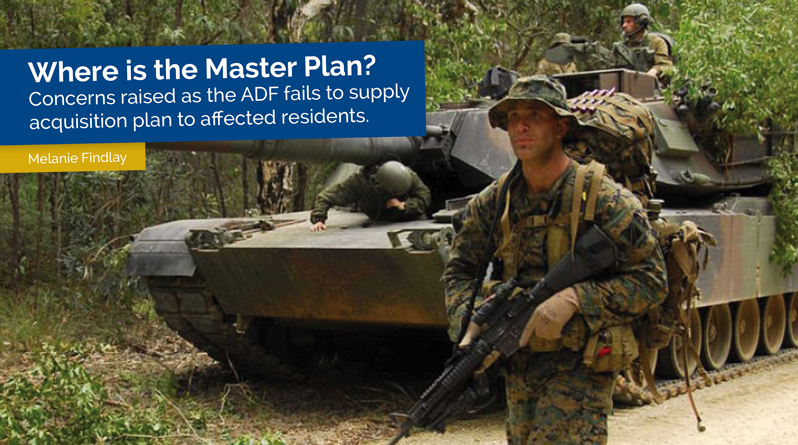 After much media attention and a commendable amount of media pressure the ADF announced that they would no longer acquire properties by “force”. They will acquire properties on a voluntary basis only from willing landowners. But what happens to those that stand their ground and refuse to sell their land? What if those who stand their ground are surrounded by land that is acquired? What is the value to their land, their access routes and their use? How will the ADF handle these? Solar - so hot right now! The Queensland Government released a 4 page, Powering North Queensland Plan recently. Further in the State Budget it is proposed that some $386million would be invested in the plan. Landowners are being approached by solar and/or wind project developers and in some cases, multiple developers are contacting landowners wanting to secure site access. There are many incentives being offered to Solar Farm or Wind Farm developers right now. It may be the case that you are interested in a project being operated on your land, or if you have been approached by one or more project developers, you should inform yourself about the space in which you are entering. Some landowners just happen to be located in a perfect area for these projects. As a start, these companies require access to the grid, meaning a large capacity power line or substation with capacity should be located nearby. A landowner who has a block located out of flood areas, with favourable vegetation mapping and a freehold with good road access could be the owner of a viable site. This may command a good rental return from a Solar Farm. A Wind Farm site usually again can be built on land with favourable vegetation mapping and on a range where the wind speed is appropriate. It is important to choose your developer wisely if you are approached by more than one developer. The Landowner Lawyer is happy to speak to you regarding the Solar Farm or Wind Farm state of play at any time. Did you know that on 8 March 2017 new statutory land valuations were issued across 28 local government areas in Queensland? Various local government areas that received new statutory land valuations include, but are not limited to, the following local government areas:- Rockhampton, Livingstone, Central Highlands, Barcaldine, Blackall-Tambo, Gladstone and Mackay. 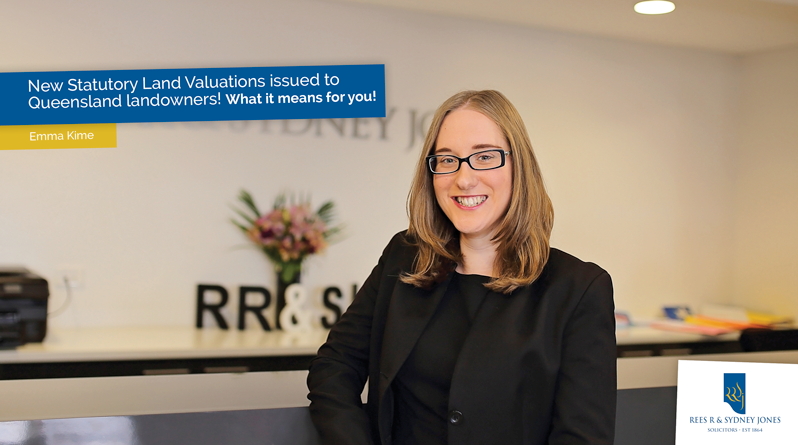 Land valuations are issued annually for all rateable properties by the Queensland Valuer-General under the Land Valuation Act 2010. Land valuations are used to assess council rates, land tax and state land rental (for state leasehold land) and the new statutory land valuations will be effective from 30 June 2017. Depending on the type of land owned, landowners may receive a statutory land valuation notice for, but not limited to, rural land and/or non-rural land (including land zoned rural-residential). Rural land valuation notices may show an increased or decreased value for the "unimproved value" whereas non-rural land valuation notices may show an increased or decreased value for the "site value". Landowners who do not agree with the "unimproved value" or "site value" of their property may lodge an objection with the Department of Natural Resources and Mines within 60 days from the date that the new statutory land valuation was issued. The 2017 objection period close on 8 May 2017.
the objection must be lodged with 60 days from the date that the new statutory land valuation was issued. What if my land is rural land but the new statutory land valuation shows my land as non-rural land? If the new statutory valuation shows your land as non-rural land and you believe that your land is rural land and should be valued using the "unimproved value" methodology then you may be eligible to submit a rural land application to have your land declared as rural land (provided that your land meets the relevant criteria). When Dams are supposed to fail! You may have seen this story in the news recently. Over 200,000 people were evacuated when one of America’s largest dam showed signs of failing. What you may not know is the auxiliary spill ways or saddle dams are actually designed to fail so that the main dam wall is not damaged. Think of these saddle dams or auxiliary spill ways as being sacrificial walls which are designed to fail to save the main piece of infrastructure, ie the main wall. Auxiliary dams, or saddle dams are more common than you might think. Rookwood Weir for example, when it is built will have saddle dams on the left bank. Landowners on the left bank of the Weir or who are located below the likely spill area should definitely inform themselves of how the infrastructure around them works and get the right advice. No one wants an evacuation notice in the middle of the night! If a Saddle Dam is to be constructed on your property or if you are located downstream or near a saddle dam then the laws regarding compensation for these are quite complicated. If the Saddle Dam is on your property then you will be entitled to compensation as a part of the resumption process. If you are located downstream or in front of the Saddle Dam, and likely to be impacted by a failure, the law is far less clear. The Landowner Lawyer has experience dealing with resumption matters including a variety of disputes and claims over Dams and Weirs. She has a special interest in water. Defence Force Update - Where is the Master Plan? The expansion of the ADF Shoalwater Bay Training Facilities and the Townsville/Charters Towers Facilities are a political football at the moment. For families caught in the crossfire, there were ADF visits in Charters Towers, Marlborough, Rockhampton and Stanage Bay this week. The hastily organised meetings were not advertised widely until only days before the ADF attended these meetings. Where is the Master Plan? 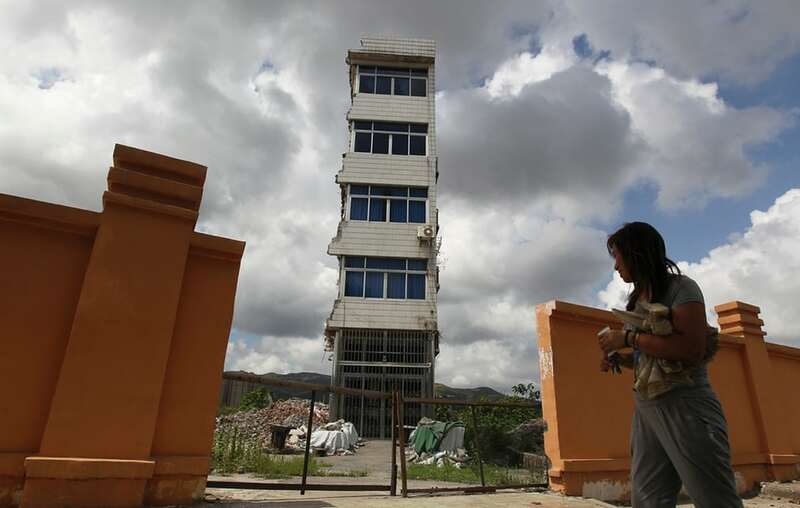 The eagerly awaited Master Plan was not released to those directly affected. The timelines for the Business Case have not changed and neither has frankly anything changed from the meetings held late last year. It seems the Master Plan is a difficult beast for the ADF to deal with as the recent announcement of “no forced sales”, the ADF has had to change their plans for the area. The ADF now needs to do some re-design and rethink their project as the willing sellers make themselves known. The Master Plan is not likely to be released publically at all now to the disappointment of those affected by the announcements. There are only a few days left for people to make submissions to the socio-economic impact report. However, one wonders how a proper submission can be made to the report now, without the details of the Master Plan being released. “Willing Sellers” are able to sell their land through two means with the ADF. Advice needs to be sought regarding which option is best for those Sellers. The first way to sell to the ADF is “on the market”. This means that you approach the ADF and advise that you are interested in entering into negotiations to sell your land. If the negotiations fail, then obviously the Sellers don’t sell. If an Agreement can be reached by the parties then a contract is signed. These negotiated agreements can include anything (eg, leaseback arrangements, disturbance costs, professional costs and most importantly the timing for payments). Once the Business Case is completed in June/July (more like August) then the ADF will announce their Land Acquisition Strategy. There will then be a gazetting process and some declarations. After these gazettes are issued, the second means of “selling” activates. That is that Sellers can still sell their land by agreement with the ADF, but the process will be in the hands of the Department of Finance and some timeframes and other options will change. After the visits this week, we can say that the announcement of “no forced sales” has not changed. There will be still no “compulsory acquisitions” once those gazettes start. However; with neighbouring properties being sold, and the ADF plans still being formalised, the decision on whether or not to sell is something that people should consider carefully. Landowners may be concerned about such matters as neighbouring ADF boundaries, feeling “squeezed”, possible changes to road arrangements. Once the decision to sell has been made, the two means to sell the Land above also need careful thought. Melanie Findlay is a rural agribusiness specialist who has negotiated many compensation/resumption matters with government departments, mining and gas companies. The proposed expansion of the Shoalwater Bay Training Area has caused plenty of talk in the community recently. The proposal is currently in the "master plan" stage. As part of the "business plan" process and to help understand the effects of the expansion on the community and Queensland economy, the Defence force are undertaking a Socio-Economic Impact Assessment of the proposed expansion. The Defence Force has already been in contact with directly affected property owners; however this Impact Assessment provides an opportunity for any member of the community to provide feedback on the proposal. Who Is Conducting The Impact Assessment? The Assessment is being conducted by independent advisory firm KPMG. What Will The Socio-Economic Impact Assessment Look At? The assessment will consider all current and future socio-economic impacts of the Singapore Military Training Initiative. This process will include analysing things like the economic flow on effect of the extended military training program and the upgrading/expansion of the training area. For example the assessment may look at the increase in demand on public facilities (eg say pressure on the Base Hospital) or the increase in say tourism activities and construction work for businesses in town. Alternately it will also look at the effects of the loss of large cattle numbers from the area and the flow on effects for Rockhampton businesses who are involved in the agricultural supply chain. How Can I Share My Views On The Expansion Proposal? If you would like to share your thoughts on the proposed expansion, whether good, bad or ugly, you can obtain a copy of the Submission Form from the Defence force website and either email, post or fax it to KPMG. Further details on how to participate can be found here. As part of the consultation process, KPMG will also meet face-to-face with stakeholder representatives; however the dates for these consultations are still to be advised. Amy Gudmann is a Solicitor in the Environment, Energy and Agribusiness Team at Rees R & Sydney Jones. A $60,000 FINE!? Know your legal obligations when it comes to notifying contaminated land! Are you aware that your property or the property that you are working on could be contaminated? If you are aware, and you fail to notify the Department of Environment and Heritage Protection (EHP), serious fines could apply. What is a “notifiable Activity”? This is an activity that is likely to cause contamination. In town, these activities might include some types of manufacturing or disposal operations, printing, petroleum or chemical storage. On a rural property, you might have a livestock dip or spray race. Who is required to notify EHP? Just about everyone! Employees/employers, company directors, contractors and agents, engineers, project managers, auditors, local government, owners and occupiers of Land. If contamination or environmental harm is likely to occur or has occurred, notification to EHP has to be given within 24 hours of an event occurring. You must also give notification to an owner or occupier of land (so say a tenant) if it is likely that their land could be affected. What happens if you do not notify? Fines of up to almost $60,000 can apply in certain circumstances so the fines are significant. Tenants and Occupiers of Land should be aware that they must notify the owners of the Land or Fines also apply if the owner is not notified. There are particular forms and guidelines you can use online through EHP, or you can contact them directly. What about if I am purchasing a property? 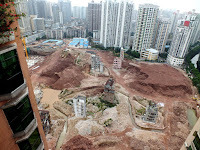 This positive duty to notify should result in an increase in properties being noted on the Contaminated Land Register. Appropriate searches and advice should be obtained when you purchase a new property or if you take on a long term lease of a premises. Contact Energy, Environment & Agribusiness Partner, Melanie Findlay on (07) 4927 6333 or at enquire@reesjones.com.au. The content of these articles and posts are intended to provide a general guide to the subject matter. Specialist advice should be sought about your specific circumstances. You should contact a Solicitor to receive full advice on these matters and ensure that the information provided suits your situation.